Posted on August 22, 2013 by amandag in Events, News. 2013 Retreat – Saturday Only Attendance Available! Posted on August 7, 2013 by admin in Events, News. Saturday August 31, 2013. If you wanted to go to the retreat but couldn’t make the entire time – we now have a Saturday option! Please join us! 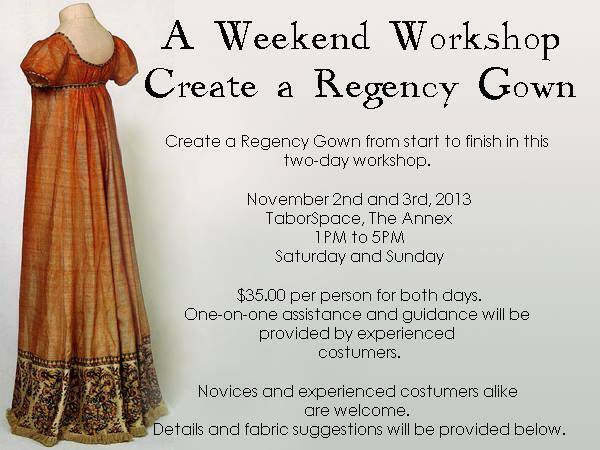 Posted on August 1, 2013 by philippac in Costuming, Regency, Sewing, Workshop. 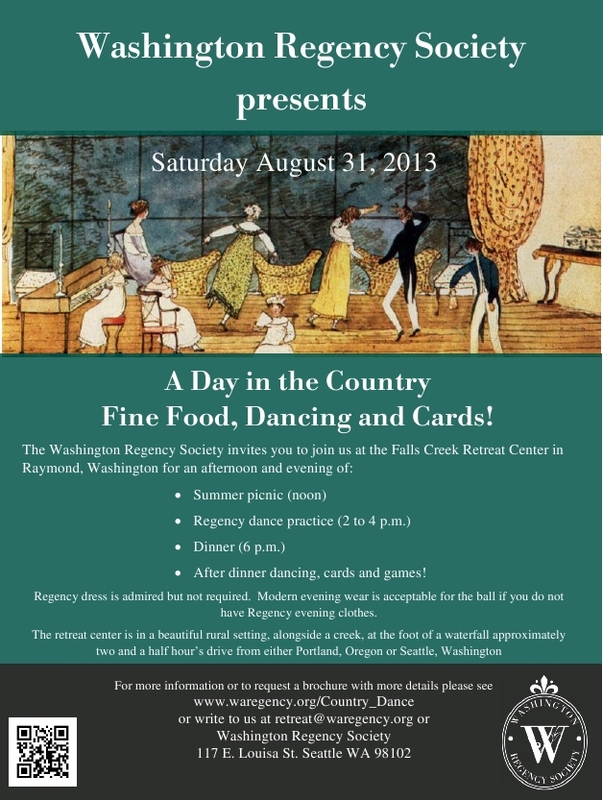 Please visit the Oregon Regency Society to register!